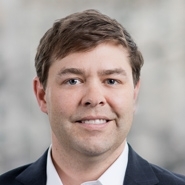 Principal Parker Moore (Washington, DC) was quoted in a July 27 article in Bloomberg BNA titled "Science Training Gives Some Attorneys Advantages." The article discusses how training and degrees in the sciences have advantages in the practice of environmental law. The details of biology, chemistry, air pollution modeling, epidemiology or other elements of science can dictate aspects of regulatory permitting and compliance, natural resource damage assessments, litigation and other legal complications, and training in those areas can be beneficial. "That's one of the things that we look for when we are recruiting,” said Parker, who himself earned a bachelor of science degree in natural resources and worked as a wetlands ecologist before entering legal practice. Knowledge of the science behind an issue is key to helping an attorney understand a client's challenges and mediate between a client and science consultants. While the client may not know the science, the science consultant may not know the legal principles. An attorney's science knowledge “allows you to bridge the gap between the two,” Moore said, resulting in "far more efficient work with far fewer misunderstandings." Parker also commented on the significance of science training when providing feedback on drafts of NEPA documents for projects. "An attorney trained in the relevant sciences can identify gaps that need to be filled in something such as an environmental impact statement," he said. "It may be a matter of considering all possible objections, or it may be a matter of identifying mitigation strategies to counterbalance impacts." "Regulators and clients alike can be frustrated by lawsuits under NEPA," Parker noted. "At the same time, the working out of those details in the impact analysis will better achieve the goals of the environmental laws."